In the tradition of Into The Wild, here is a story of daring and determination in one of nature's harshest, loneliest, and most beautiful places. The Yukon Quest International Sled Dog Race is among the most challenging and dangerous of all the adventure contests in the world. In February, a handful of hardy women and men set out from Canada's Yukon Territory for Alaska's remote Interior with teams of fourteen dogs. Ahead of them lie 1,023 miles of frozen rivers, icy mountain passes, and spruce forests as big as entire states. Some mushers will try for victory. Many hope simply to finish. In the darkness of seventeen-hour nights, temperatures drop to 40 degrees below zero, and sometimes rescue may be days away. Why would anyone want to run this race? 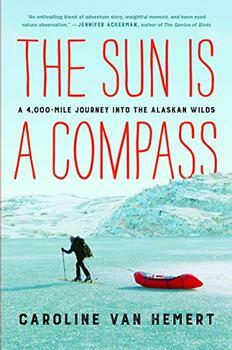 To find out, award-winning journalist John Balzar, himself an adventurer, moved to the Far North months in advance of the Quest. He trained and lived and caroused with these intrepid people who have abandoned the comforts and routines of the lower forty-eight states. The result is a vivid day-by-day account of this adventure that also offers an insightful look at the exhilaration and travail of life on the distant edge of the North American frontier. Among the colorful personalities competing in this year's race is Aliy Zirkle, a twenty-eight-year-old former college track-and-field hammer thrower and a sometime wilderness biologist. Aliy is one of four women, all rookies, who will be running the Quest this year. Like a lot of "new" Alaskans, Aliy came north for what was going to be a temporary stay. She ended up settling above the Arctic Circle in the village of Bettles, population 45. We also come to know Paddy Santucci, who embodies the character of the Far North: at thirty-seven years of age, he is an accomplished mountaineer, hunter, bush pilot, construction worker, and dog driver. Paddy never seems to eat or sleep, seldom speaks, rarely smiles, but has rigorously prepared for the race and commands respect from those who understand the life-and-death arts of winter bushcraft. As we follow Aliy and Paddy and others, we are given an understanding of the fascinating bonds between humans and the majestic dogs whose strength and devotion have made them the true heros of the story. Yukon Alone tells a tale that has all the danger and drama of the landscape through one who has ever dreamed of wild country will be inspired and entertained by this adventure of a lifetime. "'Mush-on' . . . is the dog-drivers' rendering of the French-Canadian driver's command of "marche on" --to go-- hence, also the Alaskan verb "to mush," meaning to travel, in dog driving. Yukon Territory, Canada: latitude 61 degrees north - so far north that only a tiny skullcap of the planet exists above us. It is February and dark. The temperature has not risen above freezing in four months. Dog mushers and their extended families - spouses, children, dog handlers, and dogs - now converge on the capital of the Yukon Territory. Crammed into wrinkled, coughing pickups, each with an electric cord from an oil-pan heater dangling out of the grille and each carrying a miniature plywood apartment building on the pickup bed, called a dog "box," with spaces for perhaps sixteen to twenty dogs, these teams crunch their way over the ice-covered roadways of Alaska and northern Canada. Destination: Whitehorse. Yukon Alone struck like a hammer blow to the ice of my preconceptions--it is really the best book on the Far North since Barry Lopez's Arctic Dreams--and for that I am grateful to Balzar, an author skilled enough to survive the race, warped enough to understand the participants and literary enough to paint the big picture. Enthusiastically communicating his love of Alaska's captivating landscape and his attachment to the rugged eccentrics who make it home, Balzar introduces readers to the rigors of the Yukon Quest International Sled Dog Race. ....Throughout, Balzar remains somewhat of a detached observer. He enjoys the company of the mushers he meets, but he is always somewhat apart from them, too much a part of the civilized world even as he celebrates the ways people can, at least briefly, separate themselves from civilization and follow their own demons wherever they may lead. ...this is truly a detailed and fascinating epic. While the author himself did not participate in the race, he spent many months acquainting himself with the racers and their all-important dogs. Yukon Alone is an adventure story of the first order - a highly literary, eyewitness documentation of the world's longest, coldest, remotest, and most dangerous sled-dog race - a wholly true tale that's more suspenseful, riveting, and memorable than any fiction. And its score of Questing characters - from cabbie Dave Dalton to 'broad-shouldered' athletic beauty Aliy Zirkle - electrify these pages like the Northern Lights they are. The true measure of a book like this is how well the author holds up as a companion. As a guide to one of the most compelling competitions of our time, John Balzar is funny, profane, honest, and ever-curious - a writer seemingly possessed by the ghost of Jack London. Yukon Alone may be the best book written about the Far North since John McPhee tramped through these latitudes a generation ago. To spend time with sled dogs, and the men and women who dedicate their lives to them, is to witness a relationship at once so primary and so ineffable the temptation is to reduce oneself to murmurs and tears. John Balzar fights this temptation and tells this story of the Far North gracefully, with all the humor, honor, and slack-jawed wonder it deserves. The gripping story of a biologist's journey from Washington State to high above the Arctic Circle - traveling across remote and rugged terrain solely by human power - to rediscover birds, the natural world, and her own love of science. In June 1998, Tori McClure set out to row across the Atlantic Ocean by herself in a twenty-three-foot plywood boat with no motor or sail. It was a journey that affected her life in unexpected ways for years to come.